Dr. Beverly Witter Du Gas of Vancouver has played a major role in developing new approaches and introducing new technologies for the delivery of university-level distance education to nurses. Her textbook, Introduction to Patient Care: A Comprehensive Approach to Nursing, published in 1967, was widely used throughout Canada and the U.S., translated into six languages and used in schools of nursing in some 40 countries. 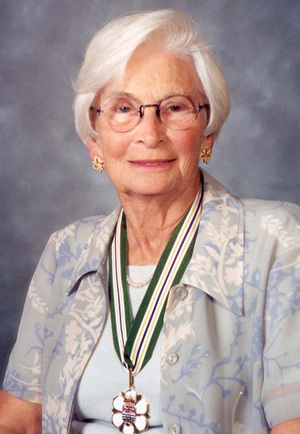 She has made major contributions to the improvement of nursing education in British Columbia, in Canada and in many other countries including India, Guam, Korea, Ghana, the Philippines and Fiji.